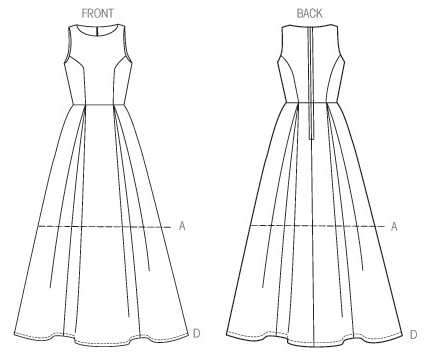 Prior to cutting into the silk dupioni, one needs to be sure the selected pattern will fit. Making a “muslin” or “practicing the pattern” to identify any fit adjustments and design options is a necessity. The fabric for this “muslin” was to be stretch, because stretch fabrics tend to fit better – even when the fit is not quite right! Stretch linen is one of my favorite fabrics. The Stash contained an apricot colored multi-yard piece that I have longingly viewed numerous times. However, it. is. plain. Plain and with Lace Overlay. Stretch lace over the linen would add that special touch and still, well… stretch!! Unfortunately, The Stash does not contain any stretch lace. Armed with coupons, I found a mocha/black stretch lace at the Fabric-Store-that-will-not-be-named. The pattern is McCalls 6953. It is a cup-sized pattern! I love the fit of the cup-sized patterns!!!! 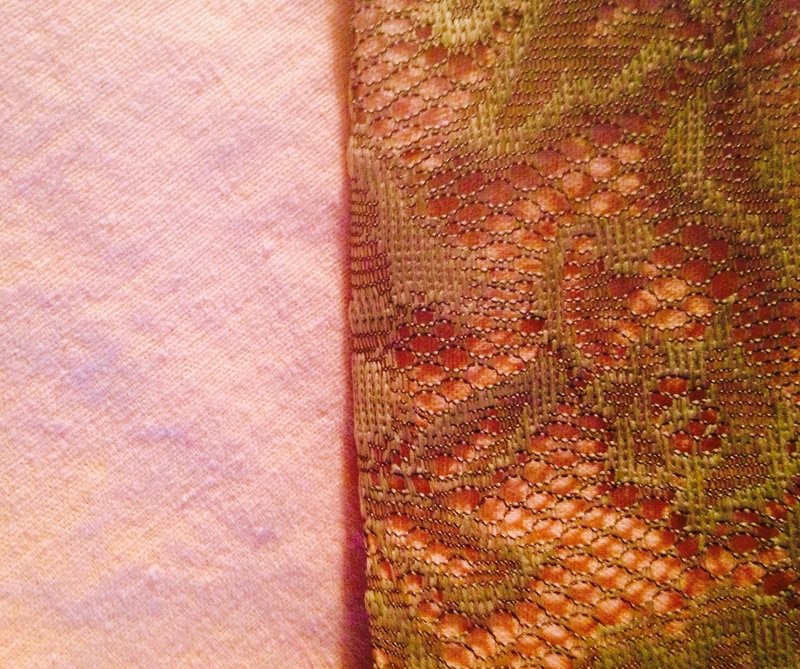 Lace over Linen – both stretch! 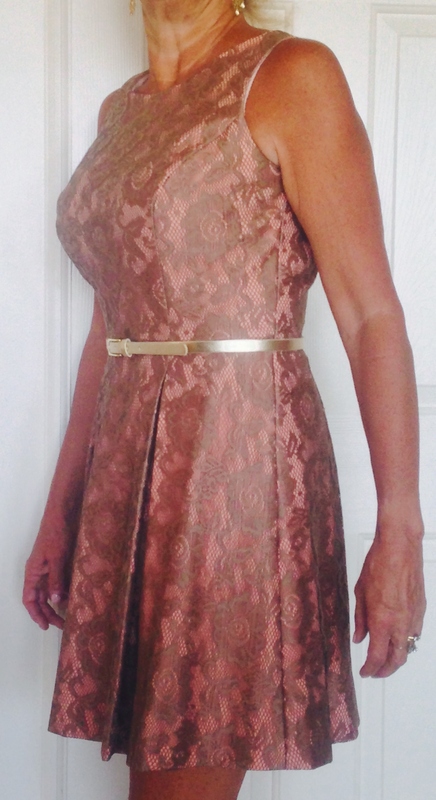 I was not sure of the rounded neckline and as this was a “practice dress,” I wanted to determine if lowering the back neckline slightly affected the fit. I also wanted to determine if a pleated skirt was a viable option or if it would add unwanted bulk. As I sewed the last skirt panel together, I noticed two HUGE HOLES in the linen!!! These were 4″ long and 1″ wide. And there was not enough fabric left to recut the piece!!! Pleats – center seam and “topstitching” of inner folds. 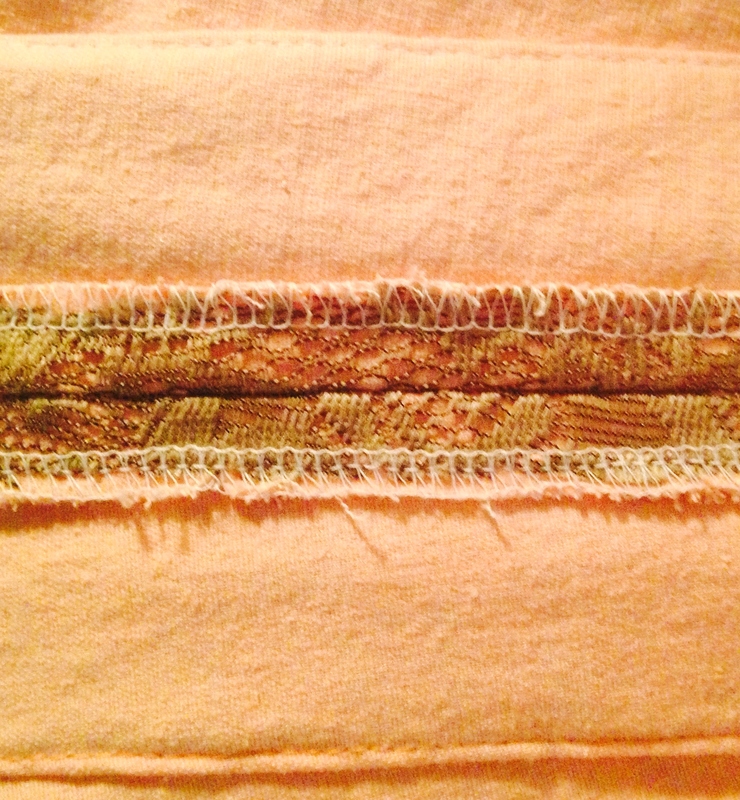 However, because of the lace overlay, I could piece the underlying linen and the patch was not visible at all! Stretch fabric does not always fold well. To ensure the pleats would remain “crisp,” prior to releasing the basted pleats, the inside folds of each of the pleats were sewn very close to the edge – much like topstitching. The muslin served its purpose well. It helped me decide the final dresses for the wedding should have V-necks rather than rounded necklines. The shorter length would be appropriate for the rehearsal dinner, but not the wedding ceremony. Pleats are doable – as long as they are sewn down 3″ – 4″ from the waist. And best of all, the cup-sized patterns actually fit – the first time – with just minor adjustments!!! There are two barbeques scheduled the week of the wedding. I think I will wear this Linen and Lace “Muslin” to one of them! 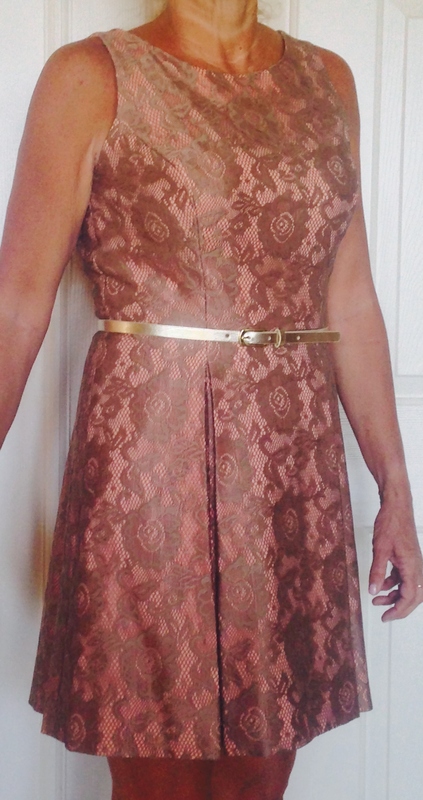 This entry was posted in Clothing, Sewing, Stash Couture and tagged cup-sized sewing patterns, McCalls 6953, sewing dresses for a wedding, sewing lace dress, stretch linen. Bookmark the permalink. I would definitely be making a muslin before cutting into that beautiful fabric! Just lovely! And such detailed sewing!